Swarmer Termites or Swarmer Ants? Did you know that termites cause millions of dollars in damage each year and an average termite damage claim can cost several thousand dollars? Termite Damage to studs in a garage wall. Do you know what is going on inside of your walls? Living in the Southeast puts your structure in even greater risk of having a problem with termites. Did you know that even though you have your home, office, or other structure treated, you can still get termites? Termites can cause damage inside walls or under floors before visible evidence is ever detected. We are now using new technology to increase the likelihood of finding termites or termite conducive conditions (leaks, wood rot, etc.). Under some circumstances, we can find activity prior to major damage being done. We have implemented the use of the One Thermal Imager and the Termatrac T3i Detection System. NEW-TEC technicians are trained and certified Termidor® applicators. In South Carolina field tests, Termidor® has lasted longer than any other termiticide on the market today. Bait stations are placed around the structure and must be located and fed upon by termites before control can take effect. Stations are placed on the exterior of the structure about 10 – 15 feet apart. Termites that may already exist under the home may not even go to the stations. Also stations have to be checked monthly or quarterly often increasing your yearly renewal price. If the stations fail, a company will then usually use a liquid termiticide to protect the structure. This is why NEW-TEC chooses to treat the home with a liquid termiticide first. With the use of Termidor® termiticide/insecticide, you get the best of a liquid termiticide treatment that acts as if it is a bait. Termidor® is a professional termite defense product effective on native subterranean termites and Formosan termites. It utilizes an advanced non-repellent, or “undetectable,” liquid technology that termites cannot see, smell, taste, or avoid. Instead, they contact, ingest, and share Termidor®, completely unaware that doing so will inevitably kill them usually with in 90 days of application. Application is put around the perimeter as well as under the structure on crawlspace homes. 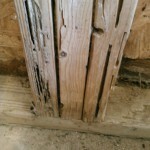 This puts application in all areas that termites could be entering the structure. 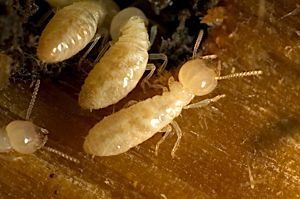 If you need termite service in Summerville, Mt. Pleasant, Charleston, Walterboro, or the Lowcountry of South Carolina, call NEW-TEC today and let’s review your termite service. Call our Summerville office at 843-873-5103 or in Mt. Pleasant call 843-849-3668. If you prefer to get a free quote by email click here. You can also contact us here with your questions.